You are currently browsing the tag archive for the ‘deck builders St. Louis’ tag. 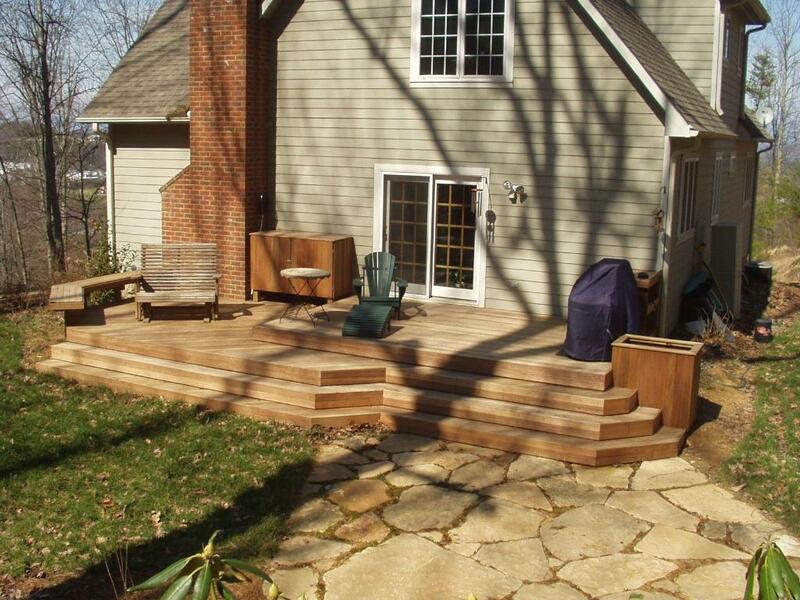 Ok so you’ve chosen your deck design and decking materials but now what? Well, it’s time to stylize your rails. Stop here and spend some time examining your options. 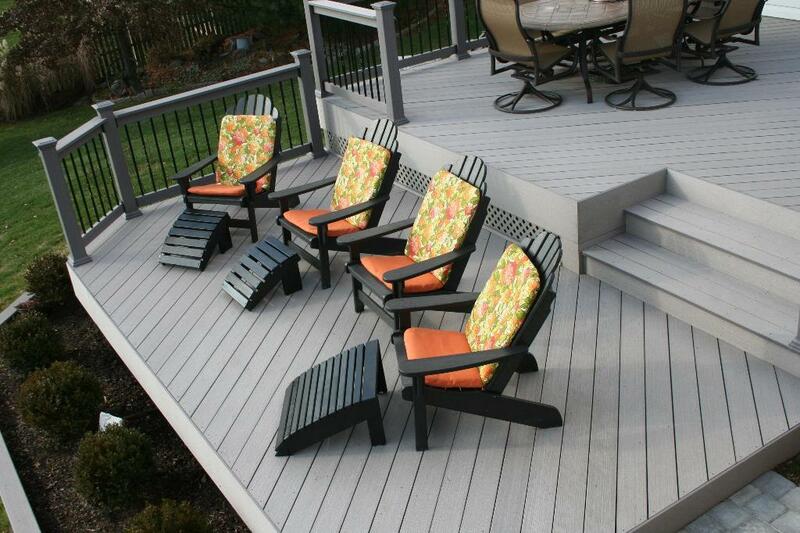 Did you know that deck rails might be optional? 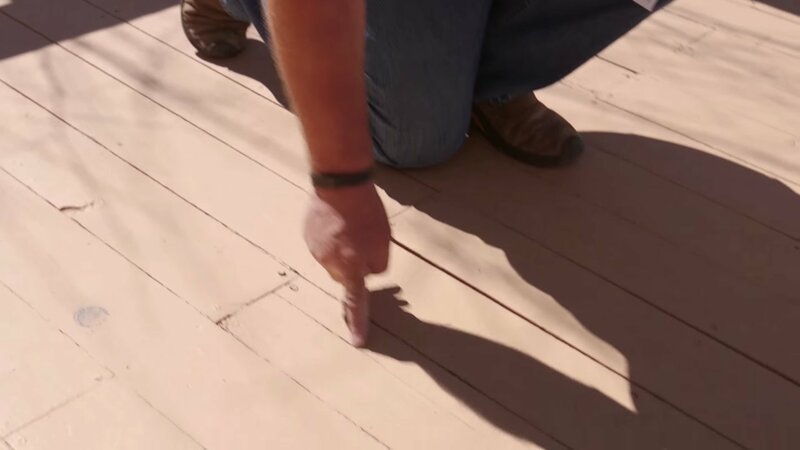 If your deck is low-to-the-ground you can often skip the rails altogether. Local building codes and your personal circumstances will be the deciding factors. When a deck is used by young children or elderly folks, railing — even if not dictated by local building codes — might be a real necessity. And no matter the height of your deck, a rail with a gate is a must-have feature for many parents and pet owners, especially if their backyard isn’t fenced. If your deck is low or grade-level and railing isn’t required by local ordinances, built-in perimeter benches can be used to define and polish-off the edges while providing extra seating too. 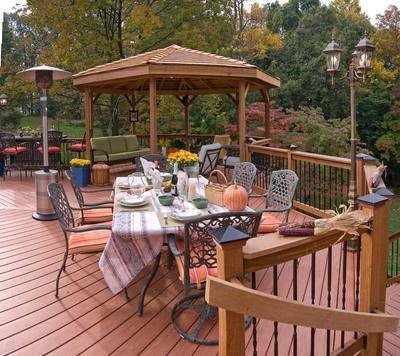 Benches as a rail substitute are particularly functional for small deck designs. 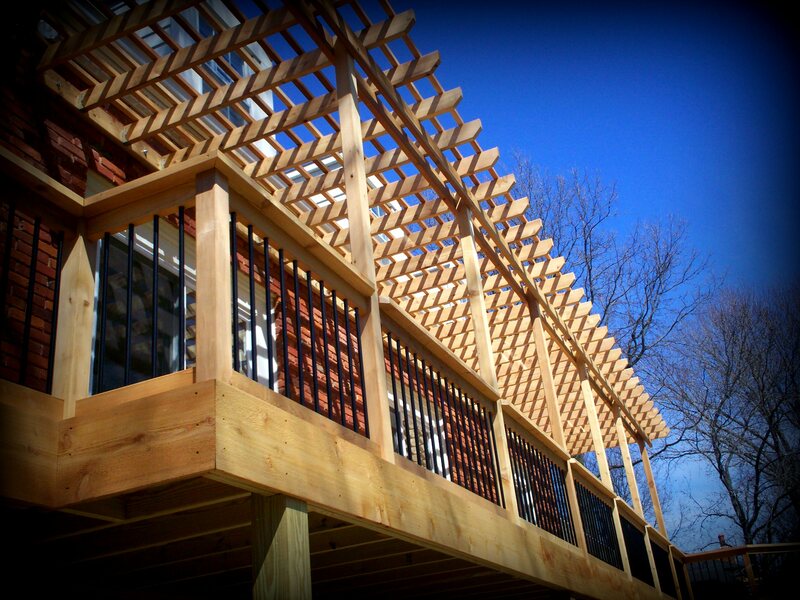 Partial deck railings are often needed for safety; however, they can be used simply for style too. 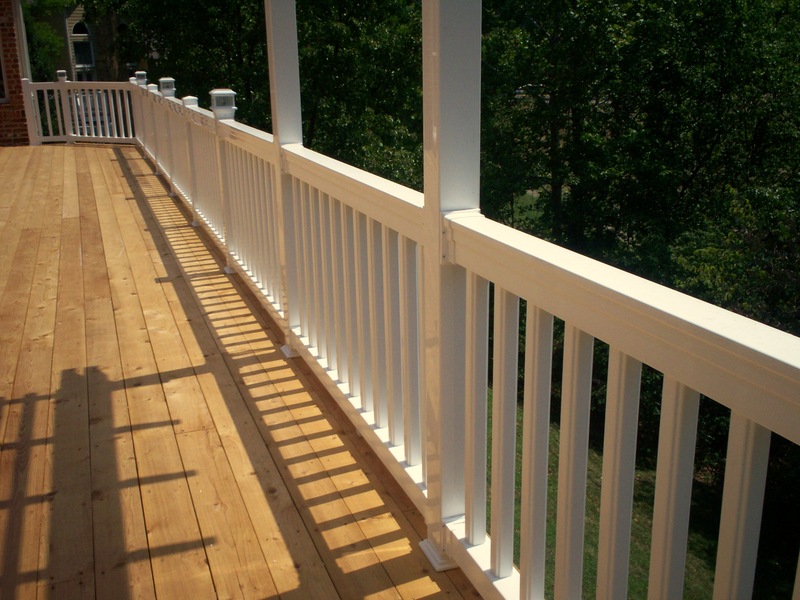 Safety-wise, even if your deck is just slightly raised, it’s best to install a handrail on one or both sides of the steps. 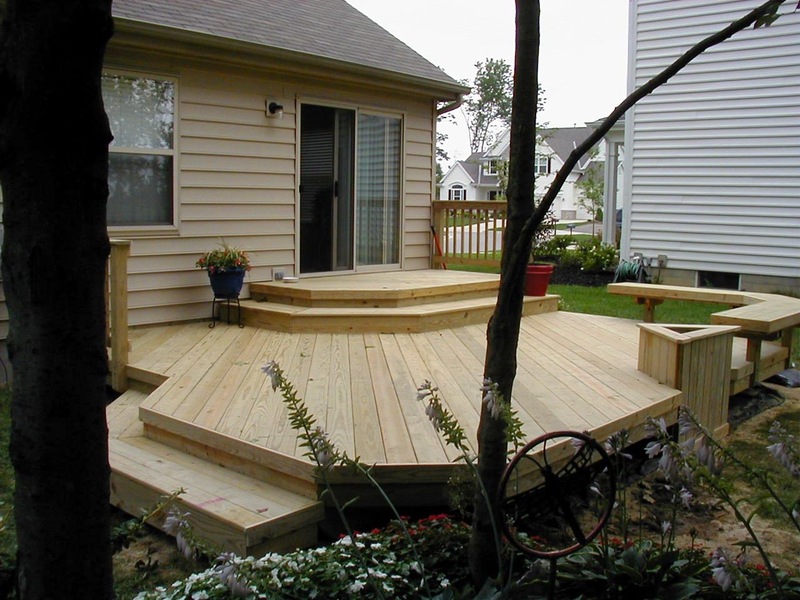 Deck step rails will clearly mark an entrance/exit from a deck to the backyard and/or provide a grasping surface to eliminate falls. 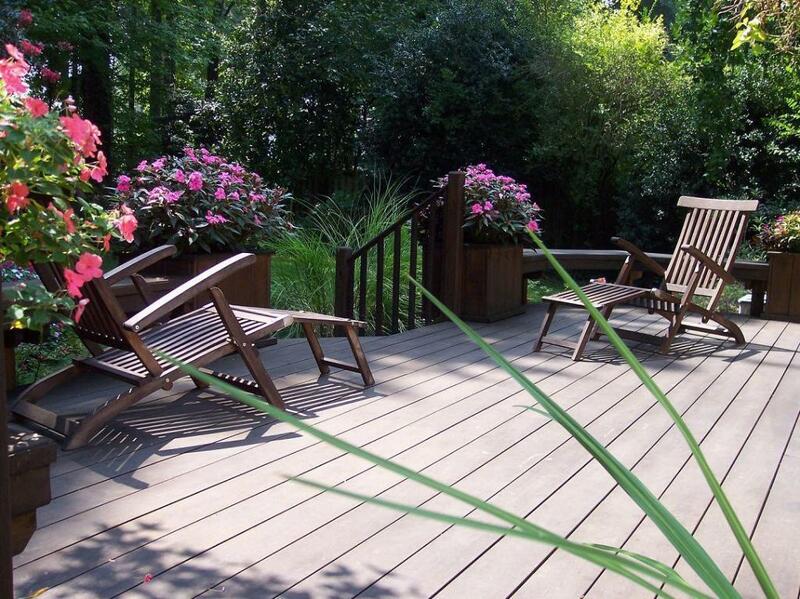 The first two decisions for planning a backyard deck include the initial design itself and then, the material selection. 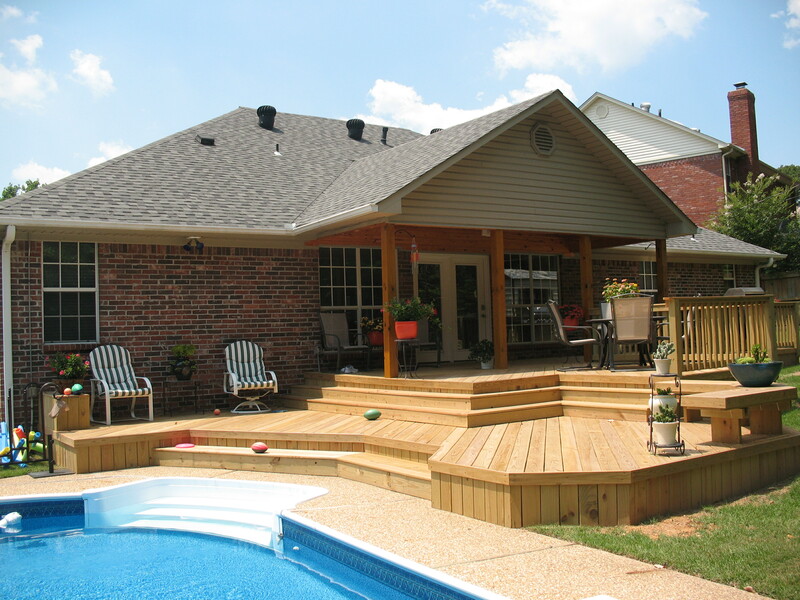 A custom deck design should complement your existing home’s structure and your backyard’s space while considering your lifestyle, personal preferences and budget. Next, primary decking materials can be selected because these will influence aesthetics, maintenance requirements and price. 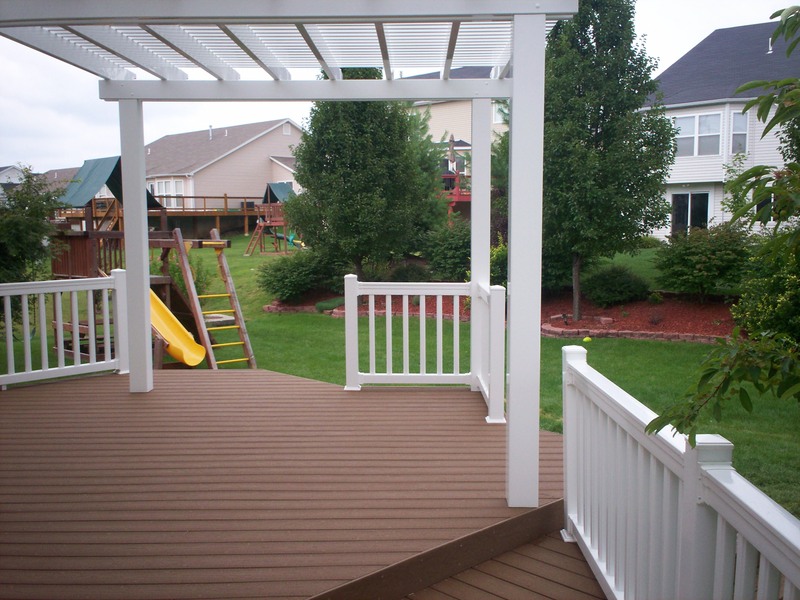 Material alternatives are: natural woods and hardwoods or a host of man-made decking materials — composite, capped composite or vinyl. 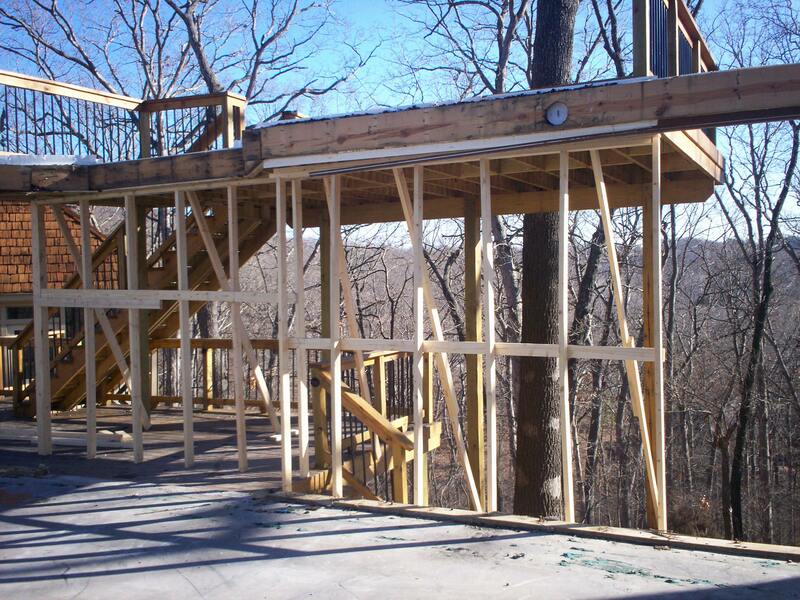 So let’s look more closely at the logic underlying a deck design, by Archadeck, for a beautiful home located in Chesterfield, Missouri in St. Louis West County. An elevated deck design was selected. The design extends the length of the home, maximizing an awesome scenic view. 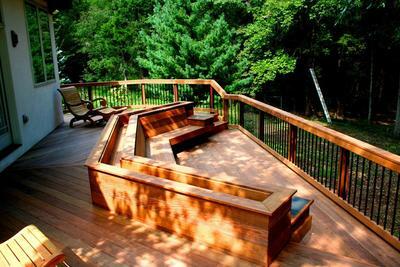 The deck provides multiple entry points, from inside to out. 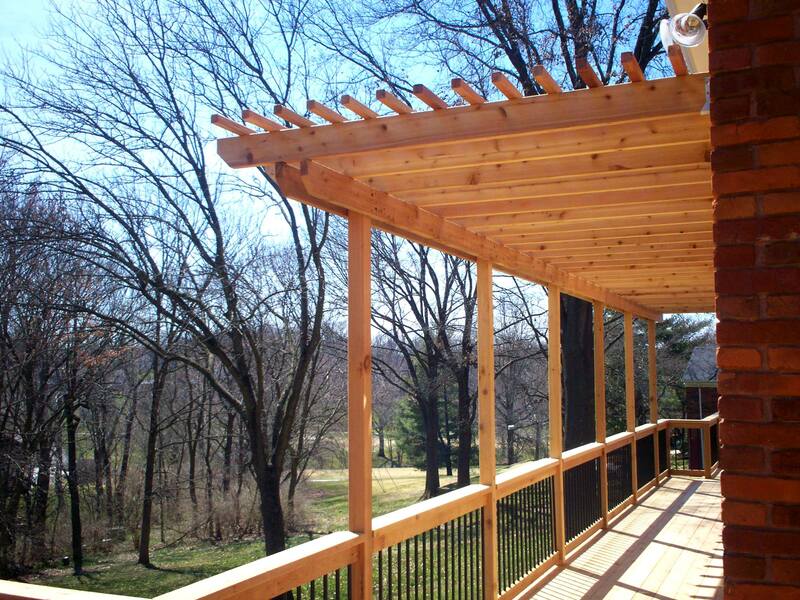 A matching shade pergola adjoins the deck, adding cool comfort and style. Coordinating rails create a traditional and uniform look; however, slender black metal balusters add a contemporary touch.